Emerald (NZ) is a Melbourne based emcee/producer with intricate flows and conscious, resonating lyrics delivered with her powerful yet quintessentially laid back kiwi presence. 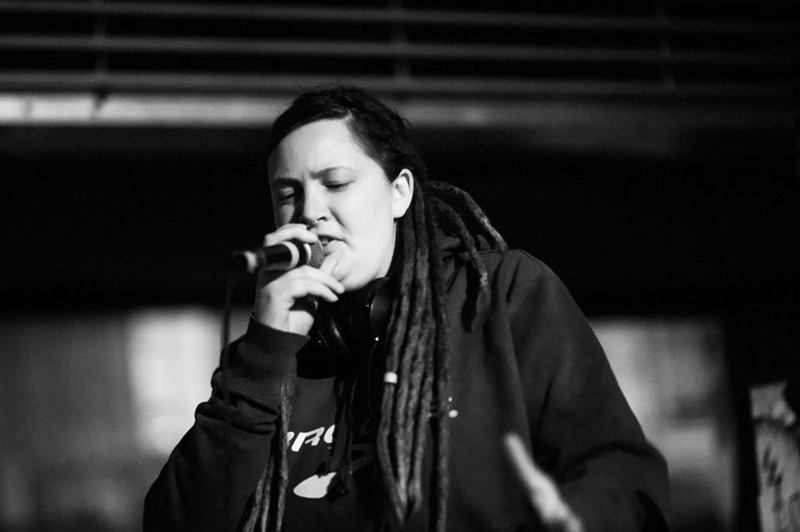 After completing a Bachelor of Contemporary Music in the deep south Emerald came up in the Golden Bay 2015 summer festival circuit with her solo alt-hip hop set, and released a collaborative EP 'Solar' with reggae artist Justice Peace. After relocating to Melbourne shortly after she quickly became an active member of the hip hop scene, gigging regularly and founding 'Emerald Hip Hop Sessions', community events showcasing local talent within her network, which gained momentum allowing her to work national and international acts. 2015 also saw the formation of her female fronted Hip Hop group 'Indigo Rising' as well as a month long tour of Canada and America as guest emcee for Trip Hop group The Wednesday Experiment. 2016 brought a brief return to NZ - this time to tour the coast with all 5 members of Indigo Rising, a hosting role at Can I Kick it? a popular open mic freestyle games night, running the Melbourne leg of a tour for Canadian rapper Xolisa, the launch of another collaborative Hip Hop event brand 'Brunswick Beats Republic', and the release of an EP 'Amalgamation' with her DJ Kayboku. Emerald continues to engage audiences and inspire the scene with her trailblazing approach. She lives to create, collaborate and support talent to help fuel Melbourne's world-renowned music culture.